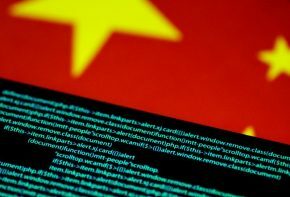 Beijing may be willing to bargain over rules for how and where companies doing business in the country store data. It would be a surprise softening of its position. With more allies on the issue than usual, including in China, Washington has a better shot at winning concessions. The cybersecurity firm’s shares fell by a fifth after it warned of weak orders. It adds to other recent large listings, like Funding Circle, that disappointed. Battered investors, and loss of talent from Brexit, will make it harder for the UK to become a European technology hub. The $5 bln Hong Kong airline disclosed unauthorised access to personal details of over 9 mln passengers. It also waited seven months to come clean. Though investors should know by now that hacks can happen anywhere, they leave struggling companies like Cathay more exposed. Nick Clegg, former UK deputy PM, will lead global affairs at the $450 bln social network. His anti-Brexit stance and EU background could help with tribulations in Brussels. But he’s an odd choice to deal with Washington, where scrutiny may intensify after the midterm elections. User and government annoyance at poor security, low-quality content and excessive advertising is as big a danger to Mark Zuckerberg’s company as the 2012 growth of mobile. Facebook finally appears focused on the threat, but it won’t be as easy to solve. Global trade tensions have dominated recent economic news. Thursday’s revelations of possible Chinese computer-hardware meddling and Russian hacking of a world chemical-weapons body and sports-doping watchdogs give justified prominence to what may be a bigger threat to growth. Apple and Amazon both denied a report they had installed servers harboring compromised chips. It speaks to a problem with global manufacturing. Ensuring the purity of goods made far from end users is difficult, especially across borders. The alternative is to make less profit. The UK airline said some customer payment records were hacked. Companies used to shrug off such attacks. But this breach comes after the rollout of new data protection laws. Now that non-compliance means fines, such lapses are a headache for investors as well as customers. Hedge fund Starboard is seeking five seats at the $12 bln cybersecurity outfit after taking a 5.8 pct interest. Accounting troubles and upheaval in its enterprise software business have slashed the firm’s value by a third this year. Fresh oversight could help fix the bugs. Europe’s new privacy rule, the GDPR, prohibits covert data gathering and allows users to have information moved or deleted. The likes of Google and Facebook may initially find it easier to comply than smaller companies. But over time they’ll face a hostile EU with new weapons. 360 Security Technology is making the most of its new home after fleeing New York. It’s capitalizing on an exuberant new Shanghai valuation to raise $1.7 bln through a private placement so it can chase AI and big data. This is another smart trade from founder Zhou Hongyi. The maker of anti-virus software lost a third of its value after it revealed an audit investigation and then skipped its earnings Q&A entirely. Not talking about the inquiry is understandable. But ruling all topics off limits encourages shareholders to indulge their worst fears. Facebook not Zuckerberg is under fire in D.C. It will be tempting for U.S. lawmakers grilling Mark Zuckerberg to focus on his all-too-apparent flaws. That would miss the bigger question: whether Facebook is too complex to manage, whoever runs it. That is key to knowing whether the company ought to be regulated.